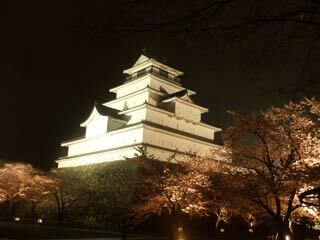 Wakamatsu Castle (若松城) has a beautiful light-up. The park of the castle opens all the time and after the sunset, you can enjoy the castle at night. 1. use local bus to Tsuruga Castle.